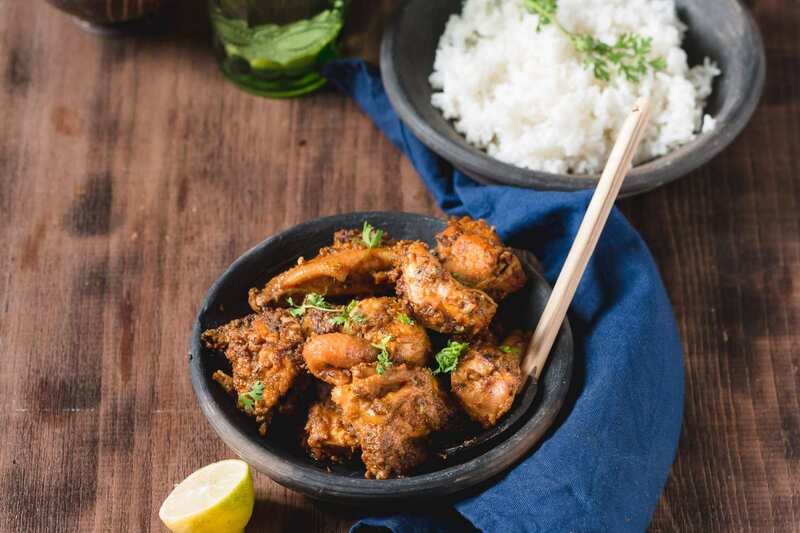 Chettinad Dry Pepper Chicken Recipe, is a simple stir fry chicken cooked with classic Chettinad flavours that can be served as an appetizer or a side dish along with rasam rice. 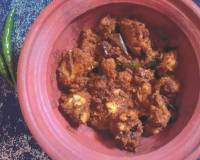 Chettinad Dry Pepper Chicken Recipe is very easy to make and tastes delicious. 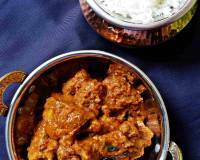 Chettinad chicken recipes are very popular in almost all the restaurants in South India. 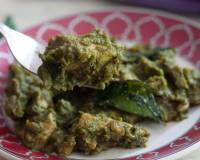 Chettinad cuisine originates in Chettinad region of Tamil Nadu state in South India. 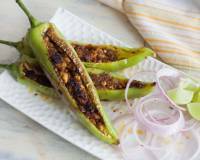 This cuisine is considered as one of the spiciest and the most aromatic in India. 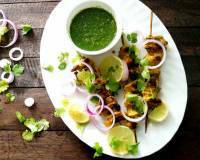 The cuisine is famous for its use of a variety of spices used in preparing mainly non-vegetarian food. 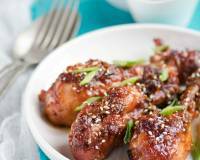 Serve Chettinad Dry Pepper Chicken Recipe with Pickled onions as an appetizer. 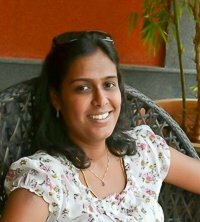 Or you could also serve it as a side dish to a meal along wit steamed rice and Milagu Rasam Recipe (Village Style Pepper Rasam). 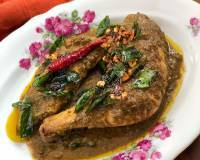 To begin making the Chettinad Dry Pepper Chicken Recipe, clean the chicken thoroughly and wash it well. Place it in a bowl, then add about 1/2 teaspoon of turmeric powder and water until chicken in fully immersed and let it sit for 10 minutes. After 10 minutes, drain the turmeric water and marinate with little salt. This step of washing chicken in turmeric water will reduce the smell in the chicken. Heat oil in a kadai/wok on medium flame, add finely chopped onions and sauté till onions turn soft. Once the onions are soft, add ginger garlic paste and cook till the raw smell of the paste is gone. Add curry leaves and mix well. At this stage add finely chopped tomatoes and cook till tomatoes turn soft and mushy. This will take about 3-4 minutes. Now add the marinated chettinad chicken and let it cook for 3-5 minutes. Add all the spice powders- cumin powder, fennel seeds powder, coriander powder, crushed pepper or pepper powder and salt. 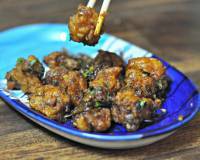 Mix the Chettinad Dry Pepper Chicken and cook for another 5 minutes. Now add about 1/4 cup water. Cover and cook till the Chettinad Dry Pepper Chicken is fully cooked and all water is evaporated. Once done, check the salt and spices and adjust accordingly. Hot, spicy, flavourful Chettinad Dry Pepper Chicken is ready to be served.